This Paracord Flex Stick by Katana Works is both pretty to look at and NASTY to feel. 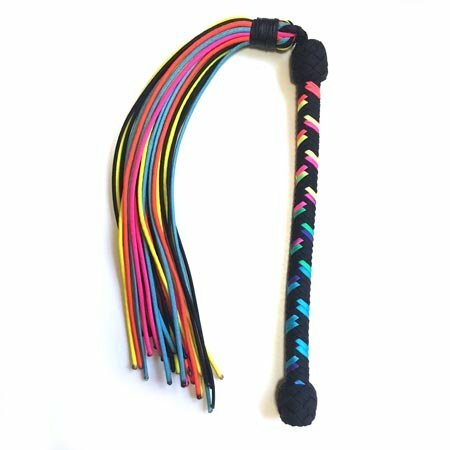 Featuring a flexible handle braided from black and bright multi-colored paracord that is connected to individual tails of paracord in many bright colors. The tips of the paracord tails are dipped in an epoxy to keep them from fraying-- and they will create quite a sting on contact! Total length is 29", handle is 12".